For those of you who know me, you probably know that I love sports- athletics in general. For those of you who know me well, you undoubtedly know that I viewed running as a necessary-evil unfortunately hidden within my love of soccer, basketball, and all things athletic. My outlook on running, much like my outlook on other things over the course of this year, has changed. 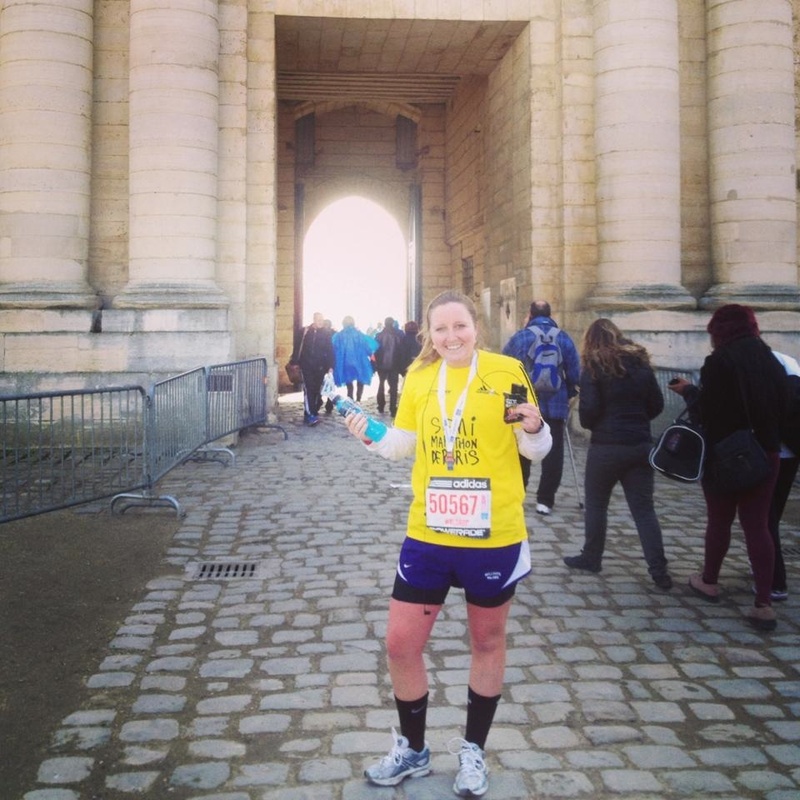 Two weekends ago I ran the ½ Marathon in Paris! Though I was prepared to experience many new things moving abroad, I have to admit long-distance running was far off my radar of anticipated new encounters. 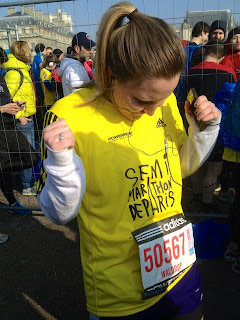 Frankly, I was nervous, underprepared (these Parisian snows did not help my training schedule), and unsure of what running 13.1 miles would do to my mind/body/spirit. Who would have thought my mind/body/spirit could end up BETTER at the END of the race? I loved it- the energy before (as seen dancing before the race began below), the challenge during, and the amazing feeling after completing something physically and mentally demanding with 40,000 others doing the same. Throughout the race, my memories of enjoying competing in soccer throughout my life flooded back. I loved seeing the streets of Paris blocked off by firefighters, families, and on-lookers with signs of “ALLEZ!” and “LES POMPIERS SONT AVEC VOUS!” cheering us on. Their support really energized me. I had almost forgotten how much I love competition, and this one in particular, as it was with one of my hardest opponents-myself. It also helped to have a beautiful almost-Spring day, and a great friend since birth, Emily, (who lives in the South of France) leading the way. I cannot wait to sign up for my next race! Watch out world, I think I'm hooked!